Pastor Rod Parsley is the senior pastor of World Harvest Church and the founder of Valor Christian College, the School of the Spirit. 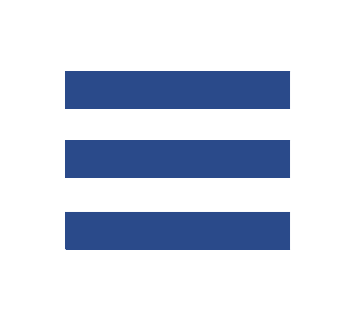 This podcast contains powerful messages, practical teachings, and insightful lectures from over 40 years of full-time ministry. Get ready, open up your heart, and prepare for the Spirit of God to do a brand new thing in you! We all need better strategies to accomplish our goals in life. Whether you're a business owner, work an 8 to 5 job, a student, or a stay at home parent, in part 1 of an 8-episode series, Pastor Rod Parsley walks you through key principles of leadership designed to help you succeed wherever God leads you. Our Heavenly Father is looking for leaders who don’t need to be recognized, rewarded, or regarded, but rather, seek to influence others and their world like the Lord Jesus Christ, who – while preparing to be crucified – Himself took a towel and began to wash His disciples’ feet. Why is this so important when discussing leadership and strategy? Because your internal perspective of the role of leadership impacts how you communicate the purpose, mission, and values of your home, your family, your business, and the vocation God gave you that activates His character and call in your life. This episode explores the style of leadership employed by the Lord Jesus, and that He sought to impart into every person who follows Him. What specific leadership skills correlate with your personality or temperament? This is important as we discover that people are not interchangeable parts. This episode includes some information to determine your own personality type, to help you better understand areas of leadership that come more naturally to you. "Leadership has everything to do with character, and little - if anything - to do with style." 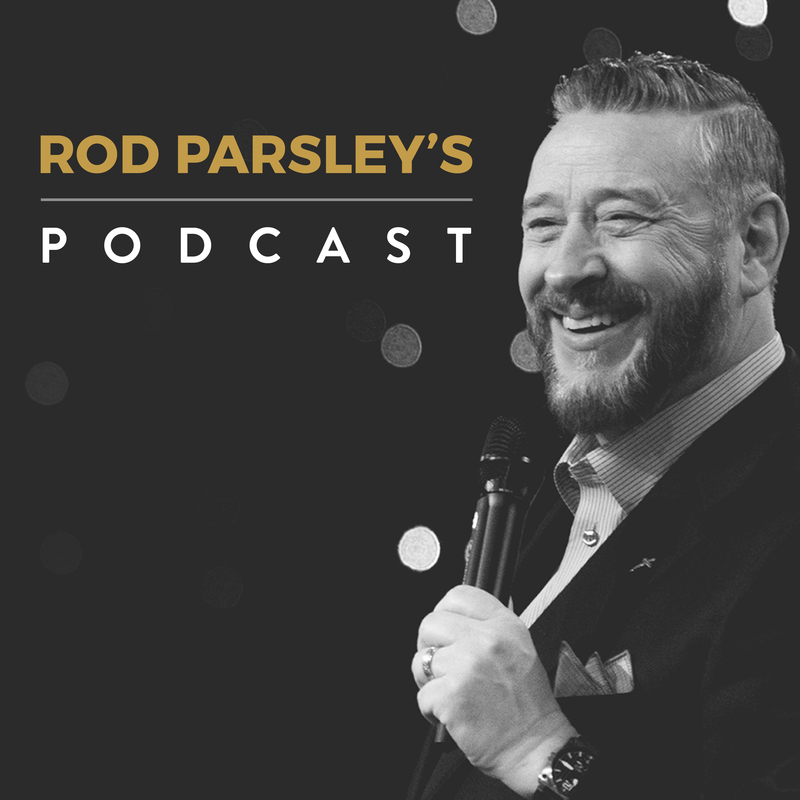 In today's episode, Rod Parsley explores the emphasis true biblical leadership has with relationships and a recognition of responsibility that is birthed out of love for others, rather than ambition. Then we will learn of God's plan to activate that motivation in our lives. Biblical teaching on the context of leadership – whether in a family, a committee, a ministry, a work team, or an entire organization – along with the habits of successful leadership, and how to rely on the Holy Spirit to help you in your role in each of these environments. Covering the dynamic process and power of communication, and how we as leaders must pay diligent attention to both what we are saying and what the hearer is hearing, but also to be listening at least as often as we are speaking. Problems are a fact of life; live long enough, and you will experience them. What the Scriptures call us to, as followers of Christ, and leaders of His life-giving movement, is to respond to problems – whether in your home, your business, your church, or your family – by being led by His Spirit in love toward God and toward others. This is the true test of leadership. Proverbs 4:7-9 declares “Wisdom is the principle thing; therefore get wisdom: and with all your getting, get understanding.” But what is wisdom? How do you receive it? In this episode, we cover the way wisdom comes to you, what wisdom is, and how God meant for you to apply it to your life as a follower of Christ, and as a leader in your sphere of influence. The promises of God are yes and amen, if only we conditioned ourselves to receive. Learn how to propel your faith towards the target of your hope and receive all that you WILL from God. Discover what it means to turn innocence into holiness and how to “get clean” from the inside-out. Water baptism is the outward demonstration of the inward work that Ezekiel 26:36 tells us takes place in the heart of individuals, "And I will give you a new heart, and a new spirit I will put within you. And I will remove the heart of stone and give you a heart of flesh." Ecclesiastes 3 declares, “To everything, there is a season...a time to keep silence, and a time to speak.” Listen as Pastor Rod Parsley “cries loud and spares not,” bringing clarity in a time when our culture is so conflicted. Pastor Rod Parsley boldly confronts problems facing society today and dares Christians to speak up, to become agents of redemptive change and to share the love of Jesus Christ to a broken world. A Time to Speak: Good News or Fake News? The Bible tells says in Hosea 4:6, "My people are destroyed for lack of knowledge." In a world full of fake news and Instagram filters, we're constantly inundated with the wrong information. Today, choose to stomp out "Fake News" and stand upon the "Good News!" In these perilous times, one thing is sure, the season for Christ's return is closer than it has ever been before. Jesus is coming again, soon. During this holiday season, it’s not about whether you can identify the child in the nativity. It’s about asking: Do I KNOW Him? And does He know me? The "abhorrent necessity" of the stable. What does it mean? Find out as Pastor Rod Parsley shares the true nature of the nativity - a Christmas message like you've never heard before. Pastor Parsley’s New Year’s Eve message, declaring your freedom for 2018. Is there a right and wrong way to pray? Pastor Parsley answers that question as he speaks to us about WHAT prayer is and HOW to pray with power. One small point of false doctrine can cancel the testimony of an entire church. Join Pastor Rod Parsley as he teaches on some of the keys to living holy. For God to Do Nothing? ... That's Impossible! God is always working on your behalf! Regardless of what you are going through, for Him to do nothing is impossible. How Big is Your God? Pastor Rod Parsley wants you to receive the revelation that your God is bigger than you’ve believed, perceived, or even conceived in this three-part series. We're in a struggle today between the finite and the infinite. Join Pastor Rod Parsley as he teaches on the limitlessness of our God. Be convinced today that the God you're serving is bigger than you prayed, bigger than you believe, bigger than you hoped, and He is not weary or worn, He is not tired. He is Jehovah. What the world says is trending and what the Bible says is truth. How far would you go to save just one more? In an age of touch-ups and filters, we show others only what we want them to see but in this episode of Culture Shocked, Pastor Rod Parsley poses this question, "Who did God call you to be?" Amongst everything vying for your attention in today's culture, Pastor Rod Parsley encourages you to answer only one, the call of God. The Wisdom of God: Lack Wisdom? Ask of God. The dabar of God is not the description of the thing. The dabar IS the thing. The dabar of God is the creative capability and wisdom of God Dabar translates to rename cancer, poverty, worry, etc. – so get to speaking the Word. Sophia, Sunesis, Phronesis – Wisdom for your Spirit, Mind, & Body - learn how to release them in your life. In this episode, learn how to receive the gift of rare insight, an impartation of the ability to know more than you know. A classic message from Pastor Rod Parsley. Our culture and nation have to have a divine reversal from this cross-less generation. Join Pastor Rod Parsley as he invites you to embark on an amazing but difficult journey—a journey to Golgotha. The cross is the center of the world's history; the incarnation of Christ and the crucifixion of our Lord are the pivots around which all the events of the ages revolve. There is no triumphant, culture-shaking Christianity without the cross. Join Pastor Rod Parsley on an epic journey all the way to the summit of Golgotha's gruesome hillside - to a place of eternal and irreversible change. The cross, the place where we lose ourselves and find who He always intended for us to be - At the Intersection of Heaven and Earth. On Easter Resurrection Sunday at World Harvest Church, Pastor Parsley shares the eternal truth that is the centerpiece of our Christian faith: The crucifixion and resurrection of Jesus Christ. How do you become a part of the family of God? What does it mean to be brothers and sisters in Christ? Is losing your "identity" a good thing? Find out in Pastor Parsley's latest message from the pulpit of World Harvest Church. Jesus uttered seven phrases as He hung on Calvary’s cruel, biting beam. What were they and what do they mean for you? What are the exchanges Christ made FOR you and that you make WITH Christ at the cross? Pastor Parsley reveals the answers in the continuation of this hallmark series. When Jesus shed His precious blood on Calvary, He left a will for you whereby you can trade your sorrow for His joy, your sickness for His healing, and your turmoil for His peace. This timeless message of God’s love explains that the cross was a legal trading table based on immutable law and everything that is His can be yours! As a child of God, you no longer have to be captive to lack, less-than and never enough. It’s time to get out from under the table, settling for scraps, and take a seat at the king’s banquet. Be blessed by this “PRP” hallmark message from Dominion Camp Meeting 1997. We have too many Christians that revel in the culture but do not advance the kingdom. People talk about relevance when really, they mean compliance. But Pastor Rod Parsley is here to announce that the church is not here to take sides. We’re here to take over! Light over darkness. Life over death. Kingdom over culture. Pastor Parsley is on the road again! And he’s bringing this week’s #PRPTour2018 message from Judah Church in Orlando, FL. What is the “amazing answer”, you ask? This divine answer is discovered in the description of what it is NOT. There’s a difference between being RELEVANT and REVENANT. Find out in Pastor Parsley’s revolutionary message from Dominion Camp Meeting 2017. You dream in the dark. Jesus got up in the dark. It’s always darkest right before dawn. These truths and many more are what Pastor Parsley shares in his Dominion Camp Meeting message from 2014: “It’s Time to Dream Again”. Raze: To annihilate, destroy, cause to cease to be as though it never existed. This week, it’s another iconic PRP message from a Dominion Camp Meeting of-old. Circa 2004. You’re about to break free, break out, break loose, and break through every line of Satan‘s defense. Perez means “Breaker” and that same spirit lives in you. Learn about its power in this throwback message from Camp Meeting 2000. “I turned to see the voice that was speaking to me. And when I turned, I saw...” It happened for John in Revelation chapter 1. It can happen for you. Listen to this #DCMthrowback from 2010 and be blessed by another PRP classic. You cannot dwell in the space between two. Light and darkness. Truth and error. Kingdom and culture. Hot and cold. What lies in the lukewarm betwixt these extremes is what blinds us to the perils lurking in #TheSpaceBetween. This week, Pastor Parsley’s message is brought to you from Dominion Camp Meeting 2018. Part II of Pastor Parsley’s message from Dominion Camp Meeting 2018 will bring you out of the blackhole of lukewarm-living and have you shouting “No more dying stars”. From the Cross, through Pentecost and Beyond. ...and nothing but the truth, so help me God. Another #VintagePRP message from 2010, recorded at Raise the Standard Pastors + Church Leaders Conference. How long are you going to allow yourself to stand outside of the perfect will of God for your life? It's time to get mad, quit playing, and run the devil out of every situation that he has tried to possess. The only thing better than getting back on the road is being able to take you with me. Join me as I travel to Chicago, Illinois and experience Venom to Victory. You don't have to put up with sickness. You don't have to put up with pain. In this week's podcast, Pastor Parsley teaches the principals to set God’s healing power in motion in your life. Let's talk about grace. What is it? How does it affect my walk with God, my relationships, and every aspect of my daily life? Find out God's original intention as we uncover the Biblical meaning of grace. The same God that formed the universe in his hand is here to destroy that situation you face. For Him to do nothing on your behalf is impossible! You have been created in God's image, so why would He ever desire for you to experience sickness or disease? Reclaim a life of total healing in this week's podcast. Through the course of my ministry, I have had the privilege of spending time with some of the greatest spiritual giants the Kingdom of God has ever known. Little did I know that when I met Norvel Hayes it would change everything I knew about healing ministry. How does God's grace actually work in my life? Is it a get out of jail free card or even a license to sin. Find out more about God's original intention for Grace in this week's podcast. Living under an open Heaven. What does that mean? How do we believe, pray, and live walking in God’s perfect blessing under an open Heaven? Living under an open Heaven. What does that mean? How do we believe, pray, and live walking in God’s perfect blessing under an open Heave? The cross is the issue. It’s the heart of the matter of law and grace. Once the human soul glimpses the meaning of Calvary’s cross and grasps the reason He endured it all was to capture our hearts, His law and grace cease to be issues, they become gospel truth. His abounding grace becomes His glorious gift. In a culture that is constantly bombarding us with distractions, Pastor Parsley teaches it’s never been more important to hear the voice of peace through God’s Holy Spirit and be led by His love and His law of grace. Biblical living shouldn't have to be a struggle. In this week's podcast, Pastor Parsley teaches us how to apply Biblical prinicipals to everyday life and overcome our hurts and struggles while living through the power of the Holy Spirit. On the eve of our Savior’s birth, Dr. Rod Parsley proclaims the power of the blood of Jesus Christ to prepare our hearts to receive holy communion together. God has set His timetable! He’s been waiting on your time to catch up! So, trust Him and His time and let yourself dream again! God says “be holy as I am holy” because in holiness there is power that distinguishes you from others. Dr. Rod Parsley begins his new “Restore the Roar” ministry series with a call to a return to holiness unto the Lord. Dr. Rod Parsley continues his “Restore the Roar” ministry series with a clarion call to get connected to the family of God. The lion of the tribe of Judah is the leader of our pride, and it is His will that we be preserved blameless – spirit, soul, and body. Why is it that it is so easy for us to believe that Jesus can take away the sins of the world, but we find ourselves struggling to believe Him for our healing? What is the first step that we take and how do we understand where our road to healing begins? Lost & Found: What Happens When I Die? Dr. Rod Parsley begins his new ministry series with the sobering question we must all face as he compels us to settle once and for all who we will serve. God has saved us for a purpose. Pastor Parsley encourages us all to reach out to the one person in our lives today who desperately needs to know that Jesus loves them and wants to make them His Own. Dr. Rod Parsley answers the question of the ages with a compelling call to live every day with eternity in mind. Because you’re lost simply means you can be found. Pastor Parsley begins his teaching series, “Search and Rescue” to teach you how to rescue shipwrecked souls for the Kingdom. If you’re not sure today of your eternal home, join Pastor Rod Parsley and the hundreds who are accepting Jesus as their Lord and Savior. Dr. Rod Parsley shares how “Now Faith” can change your season and bring you out of the dust into a Spring season of resurrection miracles. Dr. Rod Parsley shares the life transforming power of Pentecost that can fan the fire of revival in your heart and your home. Dr. Rod Parsley once again lifts up a clarion call to renew our founding fathers’ commitment and to reclaim our lost heritage. Our times demand it, our future Requires it, and God is still watching. Jesus came to overthrow the forces of darkness and increase the boundaries of His kingdom. And He says to you today it’s time to lengthen your cords, strengthen your stakes, and increase your borders.